Imagine a child with the greatest mind on earth destroyed by those meant to encourage and protect her. Neglect? Carelessness? Murder? Fate? A whodunit with a twist you can’t see coming. 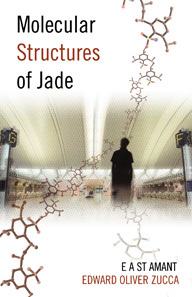 The Molecular Structures of Jade is filled with travels, science and characters of the rugged, treacherous and cagey type. Dekafalina Collosević’s life is changed forever when she starts on her journey to Argentina to solve a decade’s old mystery into who killed Jade Solvic.